Utah is the nerdiest state! Are you sure? Utah is known for a lot of things, but not nerds. Seriously! For one, Time magazine quoted Estately from their study of Facebook interests in everything from Magic: The Gathering to Star Trek to anime. Facebook isn’t our only source though, just look at FanX Salt Lake Comic Convention, you know, the one famous for getting into a legal battle with International San Diego Comic Con. FanX was first opened in September 2013 (which I totally went to), and had over 70,000 attendees, which has now grown to over 120,000 during more recent conventions. For reference, San Diego Comic Con has around 130,000 the past few years, and New York Comic Con has ranged between 110,000-180,000 the past few years. But Why is Utah so Nerdy? Utah is the center of the LDS (Mormon) religion. The Church of Jesus Christ of Latter Day Saints is the full name. While Mormons have the reputation of not allowing dancing from any of their 5 wives, that is an exaggeration from the history of Utah. Dancing is allowed, in fact, arts are pushed heavily from the church, which is why there are a lot more Mormon celebrities than you would think. What is true is that Mormons are the intersection of Catholics and Jehovahs Witnesses. They are given a number of moral recommendations, and (most) spend two years of their lives in different parts of the country/world in an attempt to convert others to follow Jesus Christ and the Book of Mormon. Many Utah Mormons do follow said suggestions, which include no coffee, no rated R movies, or rated M video games, among other things. The lack of mature content means that they have to dig deeper into family friendly entertainment, which for the most part, includes sports and fantasy. College sports is as huge in Utah as it is in SEC deep south states. You will see the same amount of uproar over 18-22 year old athletes from BYU vs UofU fans as you will in Auburn vs Clemson. 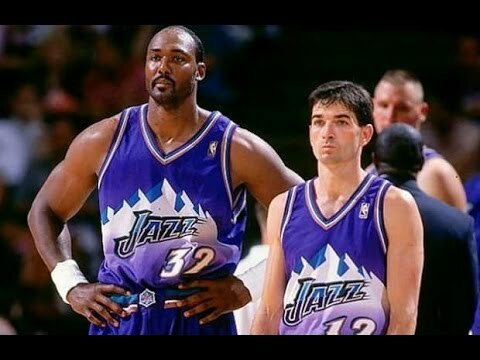 The only professional sports in Utah are the Jazz (basketball) and Real (Soccer, pronounced “Ree-yal”), and therefore there are so many soccer fans, and still talk about the Olympian basketball players from the Jazz. Some people (like myself) couldn’t care less about sports, as so they turn to the fantasy. You take out the Game of Thrones, the Hellboy, anything Alan Moore, and everything else that you wouldn’t show your grandma, and you are only left with a couple really popular titles, mainly Star Wars/Trek, Lord of the Rings, Harry Potter, and the MCU. I have met so many people that own the entire Star Wars Extended Universe book series, have read the Silmarillion, and LARP on the weekends. You might be thinking to yourself “I have a bunch of nerdy friends that do that stuff, so what?” What you need to remember is that Utah is not a super populated state. So per capita, Utah is FULL of nerds. Certain businesses are starting to notice as well. That’s why a new amusement theme park has opened up here. But not one with rollercoasters and cotton candy, but with pirate ships olde taverns. I had the opportunity to do an Evermore haunted forest a few Halloween’s ago, and it was very well done and got me very excited. Later I attended the Evermore Opening Party sponsored by FanX, and it was absolutely stunning. You really felt like you were in a new world. But it’s not just nerds, but geeks too! The Salt Lake City to Provo stretch has started to be called “Silicon Slopes” because of the local tech boom (Silicon Valley) mixed with it being neighbors with ski resorts. There’s even a new Virtual Reality arcade, where you go on VR adventures. So Utah is the nerdiest state, and FanX Salt Lake Comic Convention is coming up in a month! What’s the nerdiest thing in your state? Let us know in the comments below!